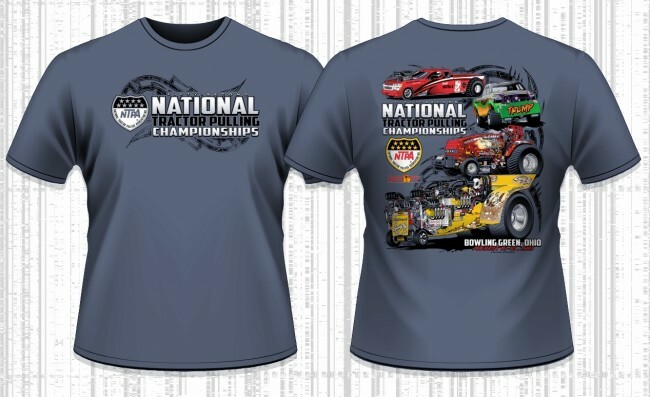 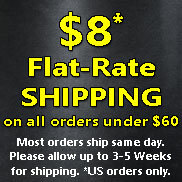 Your gear is HERE for the National Tractor Pulling Championships in Bowling Green, Ohio. 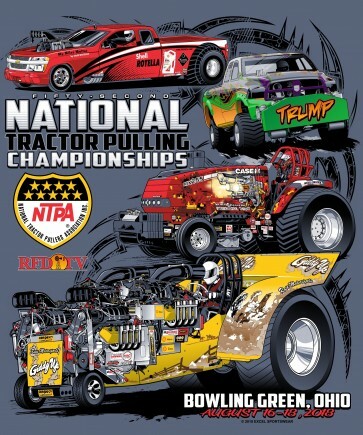 Back design features 2017 Ring Winners: Craig Corzine's "Shell Rotella Burn Notice" TWD, Shake Kellogg's "Trump" Diesel FWD, Josh Blackbourn's "Armed & Dangerous International Threat" Open Super Stock, and Ricky Rose's "Giddy Up" Modified. 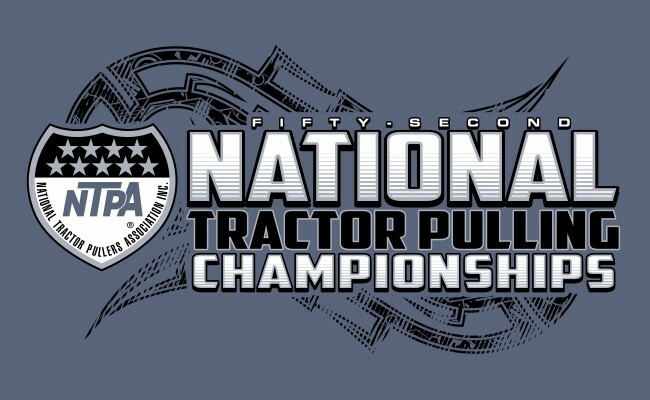 Your gear is HERE for the National Tractor Pulling Championships in Bowling Green, Ohio. Back design features 2017 Ring Winners: Craig Corzine's "Shell Rotella Burn Notice" TWD, Shake Kellogg's "Trump" Diesel FWD, Josh Blackbourn's "Armed & Dangerous International Threat" Open Super Stock, and Ricky Rose's "Giddy Up" Modified.